Manchester United’s poor results continue. In a shambolic display at the London Stadium, the Red Devils were easily beaten by an inspired West Ham side. It was 3-1 for the Hammers, as Jose Mourinho’s team looked appalling and uninterested, conceding three goals for the third time in the Premier League this season. Goals from Felipe Anderson, Marko Arnautovic and Victor Lindelöf’s own goal were enough for the hosts to see off Man United. This was one of those matches where United never really looked like a team capable of earning a point. West Ham got an early lead after poor defending from Luke Shaw on the left and Anderson’s lovely backheel flick and after that, the boys never recuperated. Marcus Rashford’s goal did halve the lead, but Marko Arnautovic scored just minutes later. It is simple as that. Jose Mourinho needs to go, as he will not be the man to set this team on the right path. This does not even have anything to do with his feud with Paul Pogba, nor with the tense relationship with Ed Woodward. Mourinho is not the manager he used to be. His starting XI for this match were puzzling at the very least, as United started in a 3-5-2, but with Scott McTominay as one of the centre-backs and effectively two more defensive midfielders in Nemanja Matic and Marouane Fellaini. That did not result in anything positive. 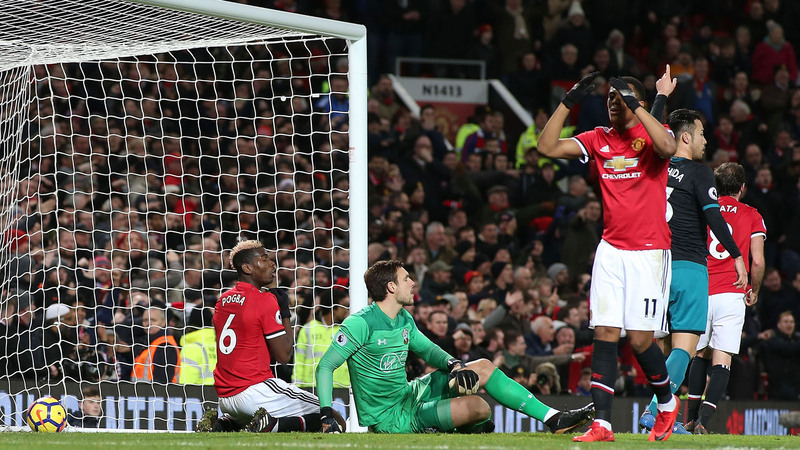 United still lacked in offensive department, while Anthony Martial and Romelu Lukaku did not really have the needed support up front. Mourinho’s post-match comments were also poor, trying to deflect the responsibility. It is not that Manchester United players are not professional enough. This is about them constantly lacking energy, character and – quality. After West Ham conceded, the players did not seem to try and improve, at least with the amount of energy and running. There was usual slowness to their game and this could be do to negative atmosphere around the team. When your manager is always slagging in you in the media, there is a tendency to run less, to be a bit less bothered. Pogba’s display was not good today – which is not a surprise given everything that happened this week. It was incredible to see Mark Noble running the match the way he did on Saturday. The midfielder was on it right from the off, he could not lose the ball in the middle of the park, and was creative with the ball at his feet. His assist for Arnautovic’s goal was a beautiful one, cutting through United’s defence. The way he caressed the ball and drove West Ham’s attacks was everything you would have expected for a player of Pogba’s stature. In reality, Noble was man of the match and Pogba struggled throughout.